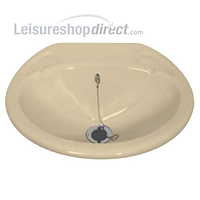 Small Inset Sink Basin suitable for caravans and motorhomes, complete with standard 1 1/4" waste. 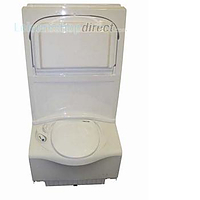 Overall size 435mm (w) x 380mm (d). Colour white. 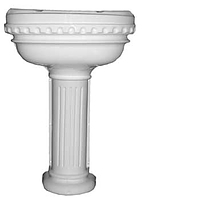 Cut out required to fit is 360mm x 240mm (oval shape). 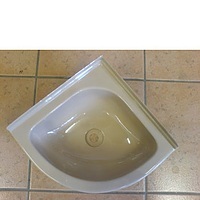 Depth of sink below worksurface, without waste fitting, is 100mm. 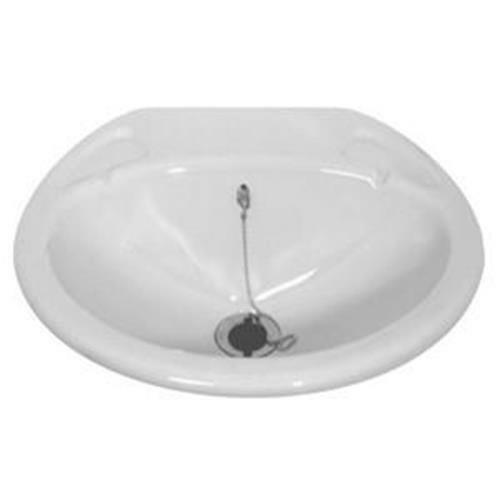 Internal bowl size 350mm x 240mm. Hole needs to be drilled to suit tap. 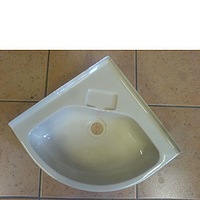 Purchased the small inset basin on-line. I didn't know what was going on with my order as I didn't receive any acknowledgement after I placed it on line. After waiting a while, I phoned to be told the item was out of stock. Once in stock, the item was received very promptly. I thought though that the photograph on the website was misleading. 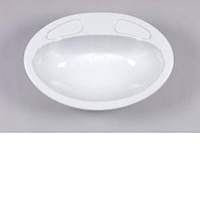 The bowl appears to be slim and oval, but the actual item is much more 'rounded' than it seems in the photograph. 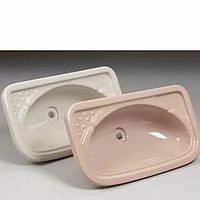 There is a wide rim at the back (for soap) which isn't obvious from the angle that the photograph is taken at. If this had been more obvious through a better photograph (or photographs) I would not have bought it. But this was the only such small bowl that I could find. 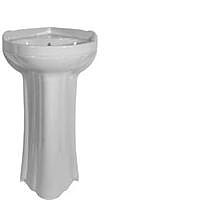 So we have had to modify the bowl and the vanity unit in the caravan to be able to fit it. All round, an expensive item for us. 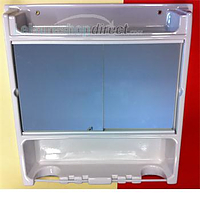 This small inset sink was to replace a cracked one in our caravan,it fitted exactly like the original. It was easy to fit only taking me about 30 minutes to remove the one and insert the new, as the fittings were the same.